Wood comes in many forms and all are beautiful. 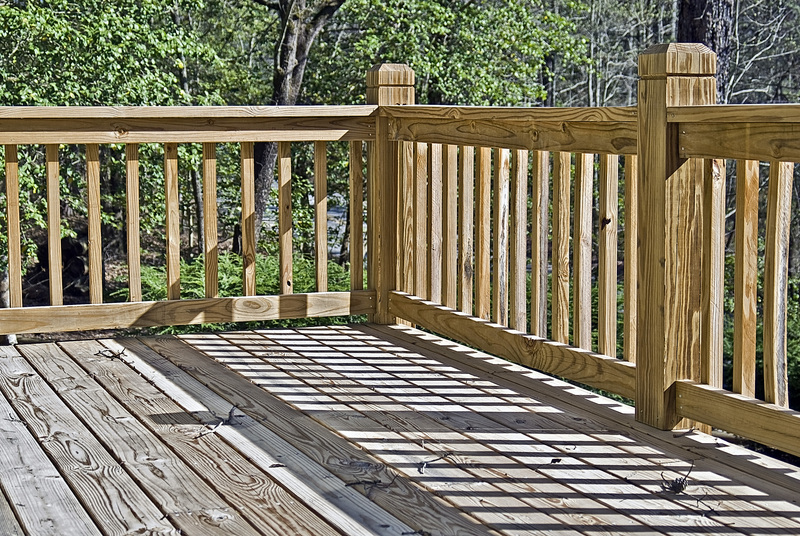 Stronger woods, such as redwood, cedar, and ipe work great for decks that need a little more substance. Mahogany is more resistant to insects and water. Aesthetics also play a role in deciding on a wood deck. Redwood and mahogany offer beautiful, deep tones, whereas cedar and ipe are lighter, which brings out more stain brilliance. Talk with an expert to determine the best wood and then let your eyes choose the best color. Composite deck materials also work well for a deck replacement project. 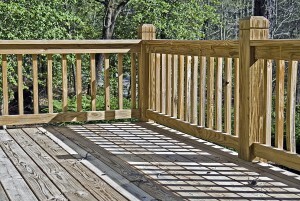 Most composite decks are a blend of wood and plastic, so you still get real wood in the material. The wood is protected by the plastic, so you’re looking at a longer lifespan for your new deck. Maintenance of composite decks is also somewhat easier, but your outdoor flooring must still be cared for properly. You might save money with composite materials, but you’ll want to make sure you’ll also be happy with them. Finally, there are plastic deck materials that are made to look like wood. This option is increasing in popularity because you’ll only replace your desk one time – in theory, that is. Anything can happen. You can also opt for aluminum materials, which are the most expensive of all your options. Some feel plastic deck materials fool the eye too much – they’re almost too perfect. Aluminum offers durability and the easiest maintenance. As you can see, there are plenty of options for your deck replacement. Choose the best one for you and enjoy your new deck once installed.